Do today’s appliances require less service than they used to? The answer is no; they need more. The same components that make them so much more useful and desirable to today’s homeowners also add to their complexity. Simply speaking, there’s a lot more that can go wrong! This causes an increase in the frequency of need for service. If we compare the number of components in today’s machines to those in older machines and rank service on a basis consistent with the same percentage, we find evidence of product improvement. 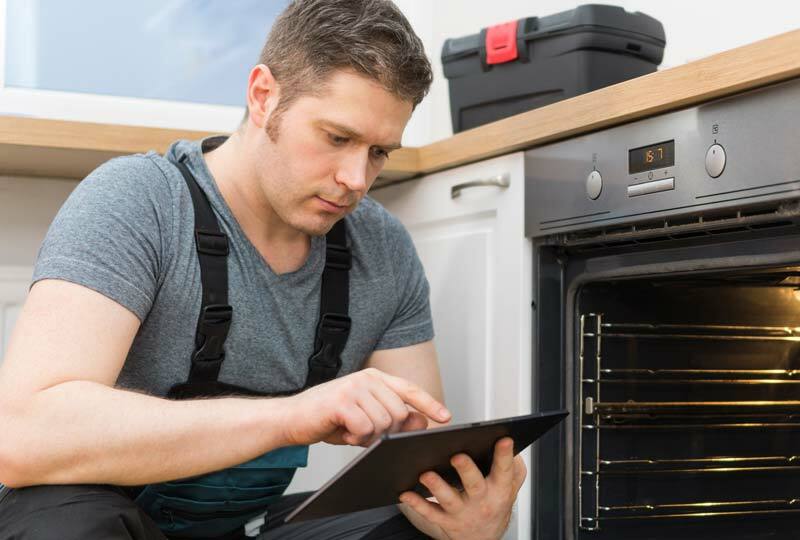 If you get involved in appliance repairs yourself which you are not familiar and experienced with, it can become problematic and dangerous. Because you are dealing with electricity and mechanical systems, there are higher associated risks that can lead to injury or worse. We firmly advise that when you are having issues with an appliance that you contact a professional company such as ourselves. We have been doing this for a long time, and we stand behind our work. Trying to save a little can end up being costly. We would, however, like to provide you with some appliance maintenance tips for your reference. Use the appliances exactly as the manufacturer directs. Use the appliance for its intended purpose only. Do not make tiny unusual demands for which it was not designed. Use with the appliance only those products recommended by the manufacturer—that is, detergents, utensils, cleaning solutions, etc. Treat exterior and interior finishes with care. Metal finishes can scratch, porcelain enamel can develop hairline cracks or chips, find there are limitations to the impact plastics and other materials. Keep all owners manuals stored in an easily accessible drawer for quick reference. Exercise care in cleaning the appliance. Water can cause electrical short circuits. Turn off the power to the plug before unplugging an appliance with a worn cord or an appliance that has been acting funny. Do not operate an appliance that is disassembled. Keep children away from any appliance that is in operation, including range door surfaces during self-cleaning operations. All appliances use an energy source for operation that presents a potential hazard for any person not instructed in proper use and care. An extension cord is not recommended. If one must be used temporally be sure that it is at least as large as the appliance cord and keep it as short as possible. Gas appliances that use an external electrical supply should he grounded and wired in the same manner as electrical appliances. Make provisions for combustion air and venting for gas appliances, as specified in the owner’s manual and instructions. For professional help call Appliance Home Service at 281-656-8428 for your same day appointment!